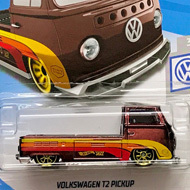 FYG16 is part of the 2019 Super Treasure Hunt set and 3/5 in the HW Roadsters series. It is Spectraflame gold detailed with black stripe graphics and a “2” in a white circle on the hood, sides, and trunk. “TH” with the Hot Wheels, Goodyear, and Champion logos are on the sides. The car has clear windows, a black interior, Goodyear Real Rider wheels, and a black plastic Malaysia base. 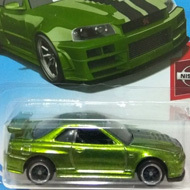 This vehicle can be found in mix “C” of 2019 Hot Wheels mainline cases. The Corvette Grand Sport Roadster made its debut in the 2015 HW Race – Track Aces series. A 1963 Grand Sport Roadster was driven in Fast Five, the fifth movie in The Fast and the Furious franchise.